Over the past several decades, two full-time working parents has increasingly become the norm. That’s why it's especially important for companies to consider ways to make their employees’ lives easier. Here are 11 companies that offer innovative benefits to parents. When it comes to parental leave, very few companies come close to entertainment company Netflix. In 2015, it announced that salaried employees would be allowed "unlimited paid parental leave" for the first year after a birth or adoption. 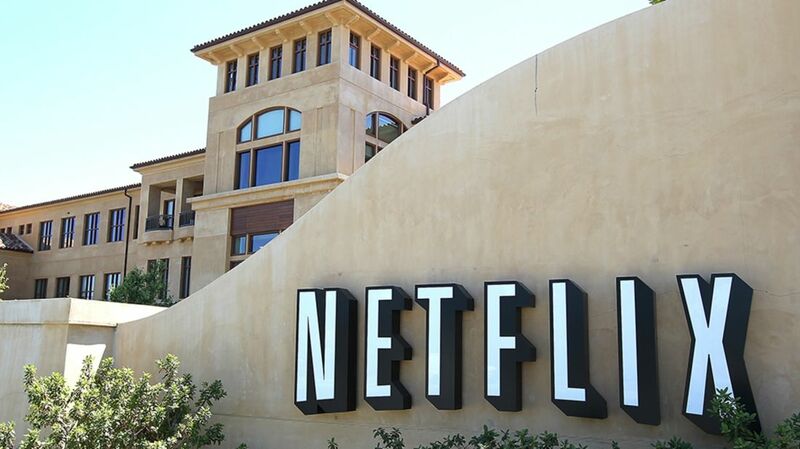 After some uproar that the policy didn’t apply to hourly workers, Netflix gave hourly workers in their departments parental leave as well, albeit for shorter time frames (and the times allotted varies depending on department—DVD workers get 12 weeks, streaming employees get 16). But it’s still a step in the right direction. This Las Vegas-based fast casual restaurant chain knows parenting demands don’t stop when children get a little older. That’s why on-staff parents can take time off whenever they want to attend their children’s events and activities. "If this kind of flexibility applies to one member of the team, it must apply to all," CEO Ashley Morris has said. "This creates a culture of support and understanding, and policies like these tend to help in retaining talent and creating an environment that fosters quality work." This year, the iconic canned soup company started offering gender-neutral paid leave—10 weeks for a primary caregiver and two weeks for a secondary caregiver (but, according to the Huffington Post, Campbell president and CEO Denise Morrison has asked the company's HR department "to be open to individual arrangements to meet employees’ needs"). The company, based in Camden, New Jersey, also has a lactation room for breastfeeding mothers. Once children are a little older they can take advantage of the onsite after-school programs, summer programs, and kindergarten classes. This eco-friendly diaper company makes its money selling to parents, so of course you would expect them to be pretty progressive when it comes to their employees’ benefits. As well as more standard things like having onsite child care, giving up to six months of paid parental leave, allowing flexible hours once parents return to work, and the ability to work from home when they need to, most impressive is that babies are also allowed in offices. The length of maternity leave in the United States means that often, women return to work while their child is still breastfeeding. Outdoor clothing business Patagonia tries to make this easier on their employees by allowing breastfeeding moms that are traveling for work to bring the baby (under the age of 1) and a nanny, all paid for by the company. Then once the children are older, company buses pick up the kids from school and drop them at the onsite childcare center. This international law firm based in Washington, D.C. gives new parents plenty of great perks, like 18-week and 6-week paid leave for the primary and secondary caregivers, respectively; onsite child care; and 15 days of free backup childcare if theirs falls through. But perhaps most shockingly, while we think of lawyers as working ridiculous hours, this firm gives parents health and welfare benefits at just 25 hours a week if they decide they don’t want to come back to work full-time. They even have associates to coach new parents on the transition to part-time. This Big Four accountancy firm consistently ranks in the top 10 of Working Mother’s 100 Best Companies list. Among other more common benefits, like help with fertility, surrogate, and adoption expenses, this company is all about educating their employees. That’s why they give breastfeeding mothers access to lactation consultants and have coaches who are trained to help working parents figure out how to raise a child and how to handle work/life balance. But they don’t forget about you once your kid is older. The high school children of employees can meet with a college coach to help with applications and decision making once they're university-bound. Many parents probably have this company’s baby shampoo in their bathroom, and it takes just as good care of the children of its employees. As well as giving up to 17 weeks paid leave for mothers (8 weeks for fathers), they offer adoption and surrogacy assistance, and will ship breastmilk home when moms are traveling for work. While most companies that get lauded for their parental leave give around 18 weeks of paid time off, this computer software company offers birth mothers up to whopping 26 weeks paid leave. Not only that, but the entire company shuts down twice a year—once in the winter, and once in the summer—allowing families to take a vacation or just spend time together. NetApp, a Fortune 500 company, handles storage and data management. Located in Sunnyvale, California, it is especially generous to employees looking to adopt. Its adoption assistance plan will reimburse eligible employees for things like court costs, legal fees, and travel expenses, up to $20,000 total. Another one of the Big Four accounting firms—and, yes, the company that tallies the Oscar ballots—PwC has some very innovative benefits for parents. New moms are paired up with veteran moms in the firm’s Mentor Moms program, allowing them to get guidance, insights, or just a sounding board as they learn about being a parent. If a high-performing employee decides to leave the firm to be a stay-at-home parent, there is a program to keep in touch with former colleagues and attend training events for up to five years so they can stay up-to-date in case they want to return to the business world at some point. And if you do want to keep working they will help you find a caregiver using their Premium Nanny Service—free of charge!